We are very happy to announce, that the registration for the Swiss Surfing Championship 2017 is online and we look forward to welcoming you all to the 20th Swiss Surfing Championship at a new location! 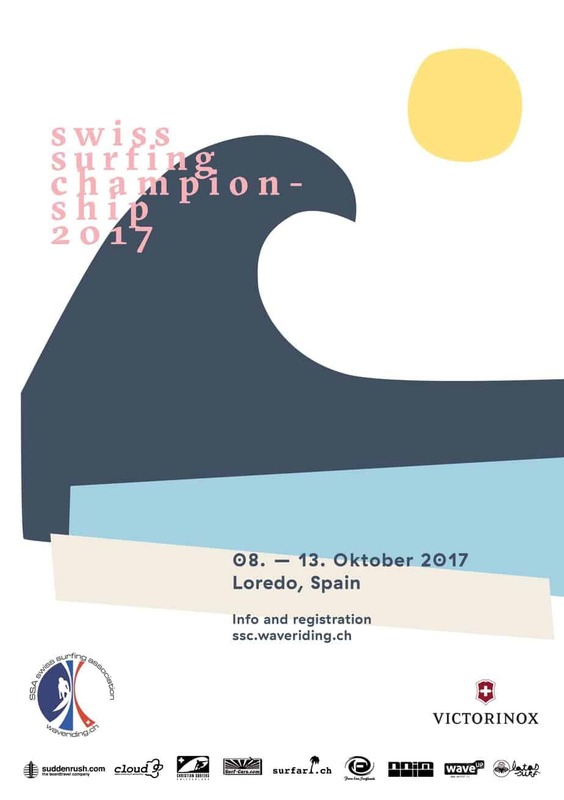 The Swiss Surfing Championships are the official national competition in surfing. The best surfers qualify for the Swiss Surfing Team! What? When? Where? Registration: Register now. Final deadline for registration is always the riders meeting on spot. An SSA-Membership is required. WIN WIN WIN! Since it is our 20th birthday we have an incredible price to raffle for all competitors registering until end of July 2017! Price: 5 days free surf car rental provided by our unique sponsor Surf Cars! Further Information Registration, frequently asked questions FAQ, further information and competition documents, such as the competition rules, requirements for participation and so on, can be found on our page: ssc.waveriding.ch Impression from the last years? Have a look here! Aloha from the Alps – Since 1992! Hi i dont see online payment option for already members? it is mentioned on the page that you have to log in if you are an active member. Then it will be possible to pay just for the competition fee. So, do I just need to pay to be in the contest? Isn’t there any forms to apply to? To choose the category for exemple. The registration is done as well as the transfer. Is there any way for you guys to confirm that? I want to register for the competition in October but do not understand what is the account password for? Is it related to my email account password?? Please advise as this field is not letting me register for the competition. I have already managed to purchase the item “Swiss Surfing Championship 2017 for 90.00″…I guess this is all I need to do.